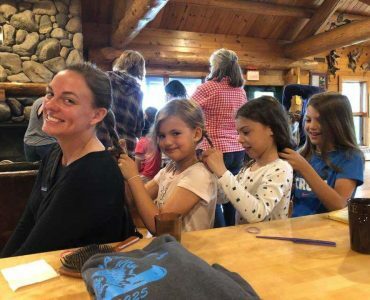 Mothers, stepmothers, grandmothers or big sisters are invited to bring their daughters (ages 7-17) for a fun-filled Mother Daughter Weekend at Camp Daggett. Cost is $$200 for mother/daughter, plus $50 for each additional family member; $300 for 2 adults and 2 children. Space is limited and registration is on a first come first served basis. Participants can expect a weekend of fun and adventure. Contact Grace Ketchum at 231-347-9742 ext. 118 or at grace.ketchum@campdaggett.org if you would like further information.